The Triton T12 1.5Ah li-ion battery, with quick, one-hour charge, is compatible with the Triton T12 range. This 20V MAX* 3 Ah Battery 2-Pack gives you a pair of our highest-capacity batteries in the 20V MAX* compact series. They provide 3 Ah capacity with reduced weight, giving you ergonomic benefits for extended power tool use. It includes a 3-LED Fuel Gauge system to instantly check battery state of charge. This battery is compatible with all DEWALT 20V MAX* power tools and includes 3-Year Limited Warranty. The DCB203BT is the DEWALT 20V MAX 2 Ah Battery with integrated Bluetooth technology. Use the Tool Connect free mobile app to remotely monitor the state of charge, enable or disable battery packs, and use the LEND feature to control how long the pack can be used by someone else. The Tool Connect 3-part inventory management solution includes the app and Inventory Manager web-based software that work together to help you better communicate updates from the field to the office. You will get updates regarding the whereabouts of tools, materials and equipment, meaning your assets are tracked during the day and accountability is placed on appropriate crew members. 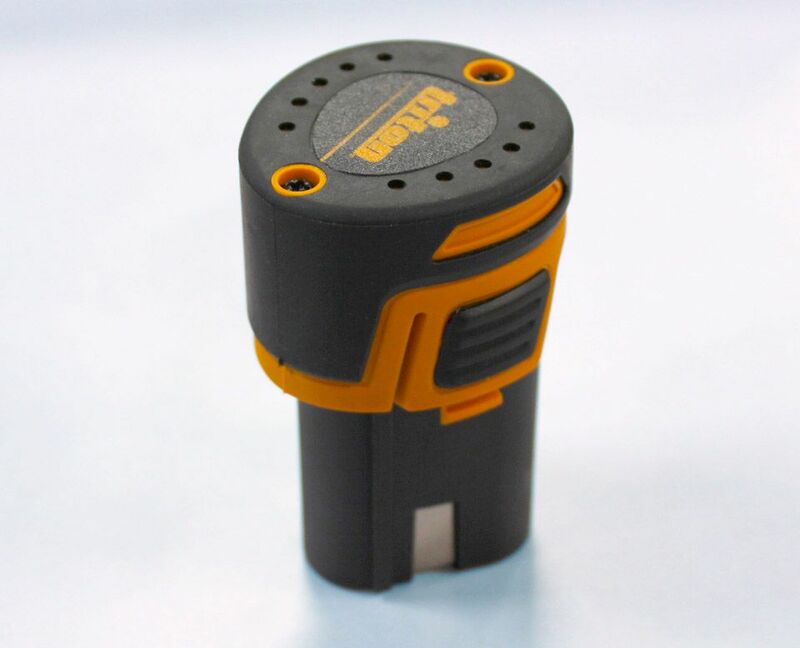 Use the Tool Connect batteries with the Tool Connect tools, Tag and Connector for a complete inventory management solution. The M12 Battery Charger quickly charges all M12 batteries. It allows you to monitor charging progress, communicates directly with the battery pack to manage charges, and features an easy-to-load design. Its slim profile requires little bench-top room, while the pass-through plug conserves valuable outlet space. The Milwaukee M12 REDLITHIUM battery is smaller and lighter than NiCad compact batteries, yet delivers long runtime and fade-free power. The battery is designed with superior pack construction, electronics, and performance, to optimize work per charge and work over pack life on the jobsite. Managed by Milwaukee's exclusive REDLINK Intelligence, the battery features overload protection to prevent you from damaging your cordless power tools in heavy-duty situations, while the discharge protection prevents cell damage. The temperature management system and individual cell monitoring help maximize battery life. Use this durable battery to power your Milwaukee M12 cordless power tools. 12V Lithium-Ion 1.5 Ah Battery The Triton T12 1.5Ah li-ion battery, with quick, one-hour charge, is compatible with the Triton T12 range.